The DJ Streamer plays your audio files out to other programs with a virtual microphone. You can now quickly create a play list from existing files on your computer to broadcast to others. 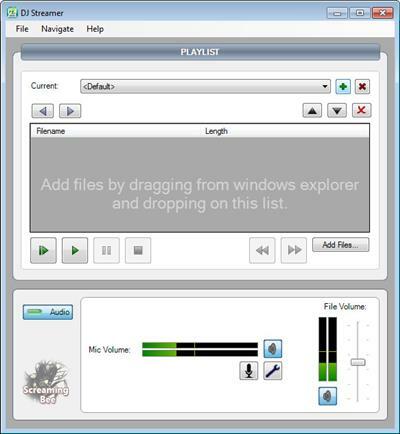 Many popular file formats are supported, such as wave, ogg, windows media and MP3. Files can be paused, stopped, skipped, and the order of the play list changed. Providing all your mic spamming needs.